After three years away for Geocaching I have returned with a new cache. 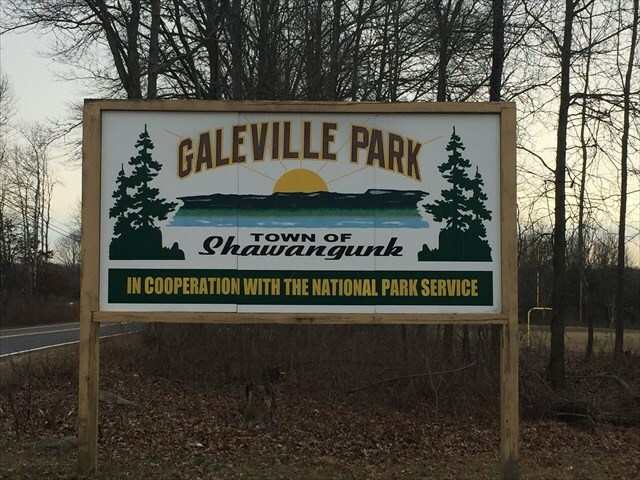 The cache is located at the Galeville Park in the Town of Shawangunk on Long Lane between Albany Post Road and Hoagerburgh Road. The park has been renovated over the past two years adding playing fields and pavilion with tables making this a great destination to find a cache, walk, have a picnic, bird watch and enjoy the outdoors. There is a locked gate at the entrance opened from dawn to dusk. If closed during daylight hours you may still enter the park. The cache is a short walk from the gate. This is one of three Geocaches I have in this park.